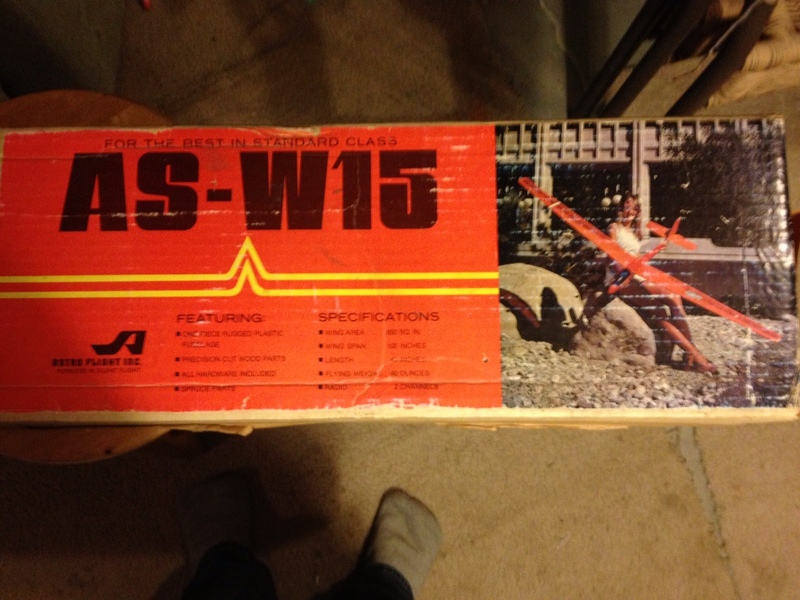 Is anyone familiar with the ASW-15 Sailplane kit? I purchased a nice set of miscellaneous tools, parts and 3 kits from a gentleman selling his RC collection. 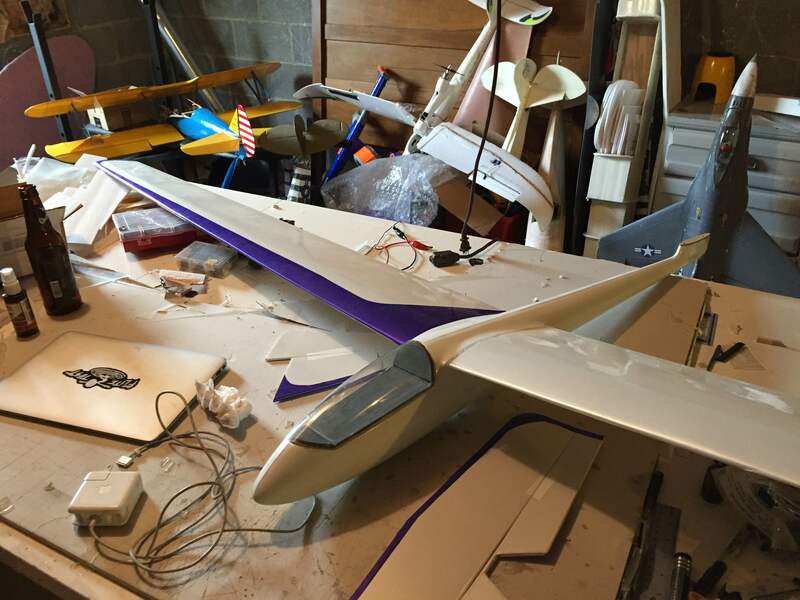 One of the kits is an AS-W15 sailplane made by AstroFlight, inc. This kit was originally purchased in 1982 and appears quite complete. The wingspan is 100" which will be my largest so far! The fuselage is molded ABS plastic. Has anyone out there seen or flown one of these? Just looking for general impressions. ABS from 1982 might be brittle if not stored optimal but dont worry. You can always build another fuse if it brakes. I assume you have a hook under the wing a little front of tp. It was hard to find the right epoxi for the ABS. It was something that "welded" the ABS and was not something for the kitchen workplace ;-) I found the same glue once at HobbyKing - it melted normal foam and the smell was incredible - dont think they still have it. I guess you will need something like this http://www.hobbyking.com/hobbyking/..._6mm_Silicon_Rubber_Bungee_Hi_Start_Cord.html or the 8 mm blue thing. Get about 40 meters of thin nylon "rope" (we use it with window blinds). The ASW is a good plane and you will smile all day after finding a nice thermal. 100" is a perfect size for a soarer. Don't know the kit but sure miss my 100" glider (sold it). I almost PM'd you with this question because I knew you would have an answer! Yes, it is made for a high start. Never used one, but there is a high start in my future! 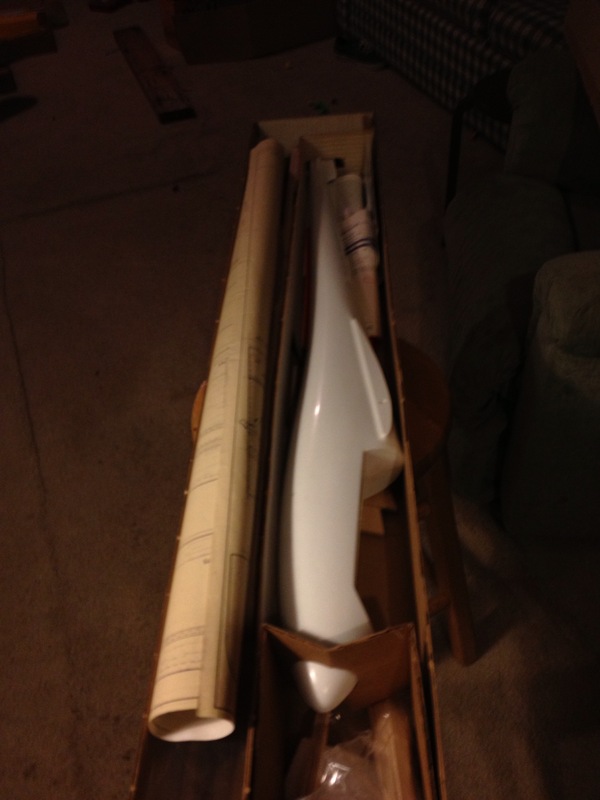 I'm very excited about this sailplane! I really didn't even give it a second glance until I arrived home. 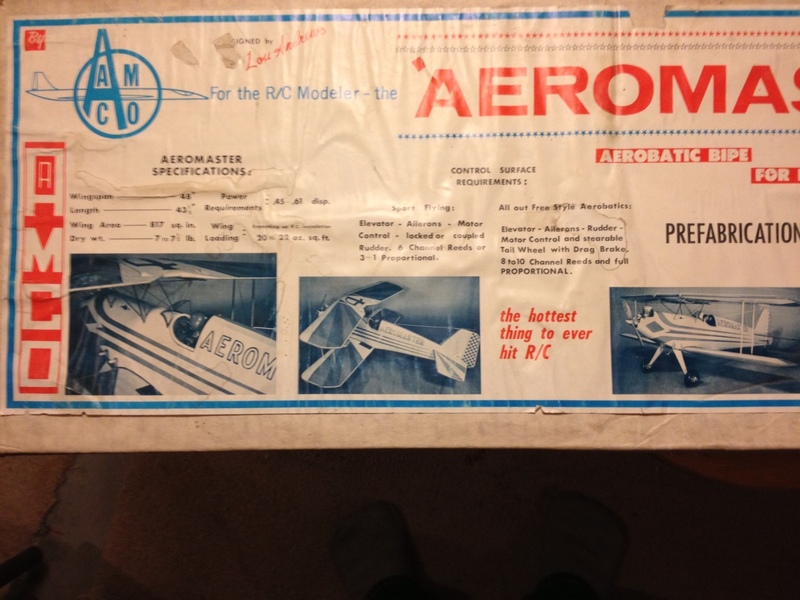 The kit that really had my attention was the AMCO AeroMaster Too. Looks like a really nice bipe! You need a 4s .60 to the Aeromaster - and try to get it as light as possible (as always). Get high qual servos (not necessarily expensive) when using IC engines. I also picked up a Sig Kadet kit. It seems like it may be missing some pieces, but I haven't taken inventory, yet. You will have it a lot more easy to make the Cadet electric and you will find plans if there is anything missing. I guess that you will need a lot more tweaking making the Aeromaster electric. The span does not tell it is such a big plane but it needs a heavy thing in the nose unless you are really thinking a lot of reducing weight in the aft. I would go for electric myself - but i am also trying to build everything light and does not mind to much flying a little on the tail heavy side. Good point. I'll have to really think about that. Any general hints in reducing tail weight? There is no general thing. Check all details and replace with Quarter grain light quality if they are to heavy - is only one of many things to do. Just remember - every gram counts ;-) The fin and stab are something to work with. Holes or built up with sticks. The sheeting has to be checked for weight (density). The same dimension sheet of balsa can easily differ 300% in weight. Be careful when heating the covering film not to warp the details. I am thinking my best course of action would be to build the Kadet first since I have no balsa kit experience beyond Guillows models. The sailplane looks like it will go together fairly easily, but the performance will probably be much better if I have a little bit of experience with wood construction. Well, after going through the Kadet box, it is apparent that it does not contain the kit, at all. But it is full of very nice balsa stock and a complete set of plans. 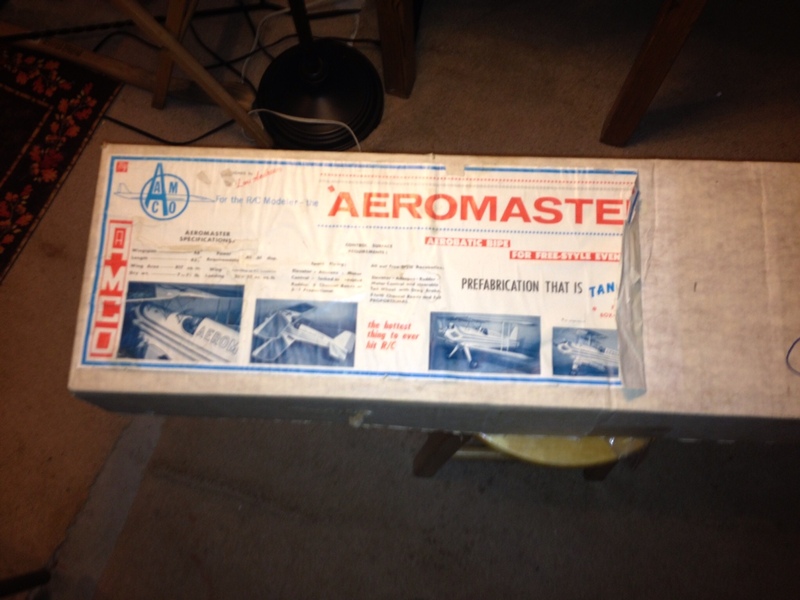 Looks like there is enough in the box to build an entire airplane, just no die cut parts. I'm not feeling that ambitious at the moment. Rolled out the sailplane plans. It looks very easy to build. Shouldn't take long at all. pgerts- What glue to you prefer for your models? I have Gorilla Glue CA (its a medium thick CA). Also have the foaming Gorilla Glue, but it would be a mess to work with on small joints. Glue is something personal. I preffer wood glue (white aliphatic) as it does not smell or cause allergy. It takes some time to cure but most of it will dry and be of no extra weight. You can thin it with water to make it penetrate better and it will not be brittle after +10 years. Uhu Hart is another "old balsa glue". It is faster but will become brittle within 10 years (i think) - but there are 40 years old models still flying with "balsa glue". CA is the fastest and it will penetrate and make strong bonds. Dont give up on the cadet - cutting the balsa is the fun part. Wow, its been a long time since I updated this thread! Long story short, the ASW-15 is nearing completion. All major components are built, covered (except for the trim on the left wing) and its ready for electronics and final assembly. It was indeed a very easy build. But, in my typical fashion, it occurred in spurts over a long period of time. The first wing was built in Feb of 2013, the second wing was built sometime afterward, so long ago I don't remember when it happened, along with the tail feathers. I'm guessing that happened in later 2013. As we close out 2015, this will likely be ready for fun next spring! The build has been a lot of fun and is the largest balsa build I've taken on so far in terms of span. I learned how to cover with this one and am very happy with the results using Ultracoat. She is going to be a nice flyer and a damed pretty one at that when she's done! I supposed you didn't reinforce with carbon tubes to bring it up to more modern standards for wing structure ?